Joseph - the indispensable cog of the Kilimanjaro Stage Run! Joseph Matula is a 36-year-old Tanzanian who began his early career as a driver for several Moshi-based tour companies. He joined SENE full-time in that capacity in 2010, while he also resumed his studies to be a safari guide. 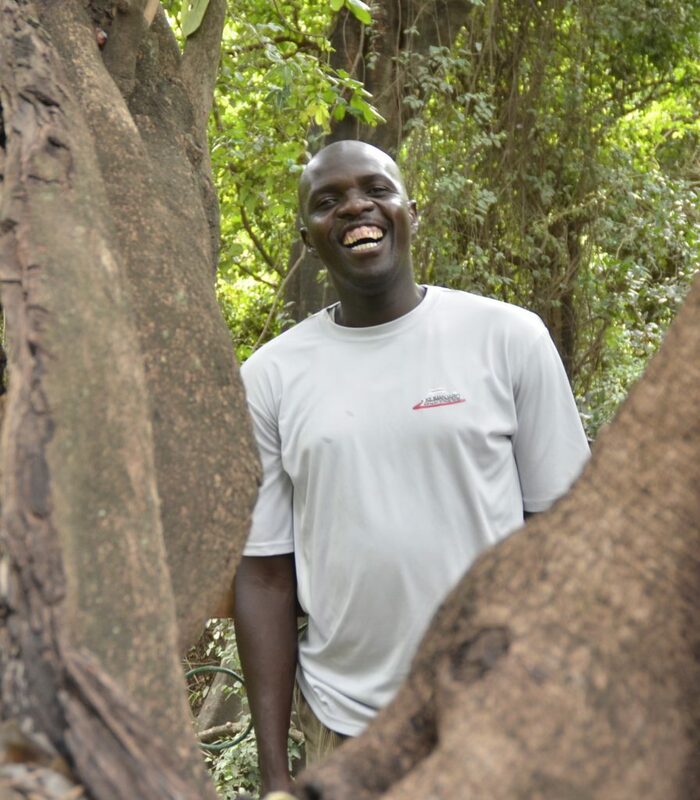 Now he travels year round throughout the safari parks of Tanzania’s northern circuit with SENE clients in search of wild animals, except for one week in August… the week of the Kilimanjaro Stage Run! Like the runners, Joseph completely circles Mount Kilimanjaro. But he does not run a single kilometer! He does it behind the wheel of SENE’s KSR support vehicle – logging at least twice the 260 kilometers that the runners cover on foot. Since the first running of the KSR in 2012 (and even before that as the driver for Simon and his scout team that developed the route) Joseph has been an integral part of the KSR. He joins Simon, Iddi, Manase, and Kiplet as those who have been on the KSR adventure every single year. 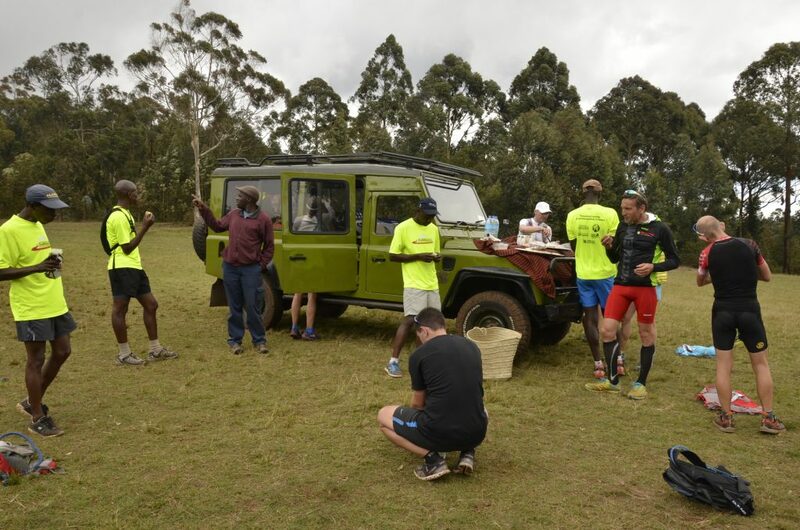 Joseph and his vehicle are what the runners look for each time they emerge from the forest, crest a hill, or come to a crossroads, as it is he who meets the runners every few kilometers with his trunk full of snacks, gels, protein bars, drink mixes, and fresh water. Moreover, after several days of intense trail running, fatigue sets in for all the runners. 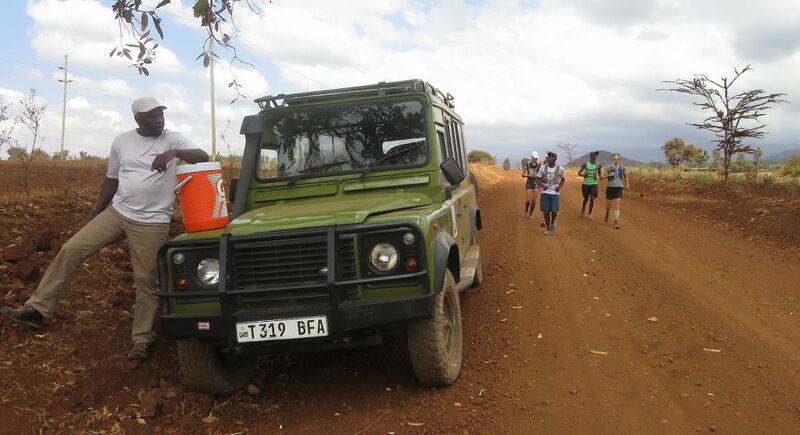 For those whose aching muscles say simama (“stop” in Swahili), Joseph’s welcoming car allows them to complete the final few kilometers of any day’s run in his good company. The conversation is lively and the rest much appreciated so the defeated runner can start again the following day refreshed and recovered from the previous day’s punishment. Lest you think driving the KSR roads is easy, we suggest you ride with Joseph for a few hours and experience his challenges. One needs to be an outstanding driver to navigate the often narrow, often twisting, often cliff-side, and always rutted dirt roads, which may be slippery from mud or filled with an assortment of running children, women with banana bundles on their head, stalled vehicles, speeding motorbikes, and weaving overloaded bicycles. No worries, with years of experience on these roads, Joseph has the talent and calm mindset necessary for the task! Still, even Joseph sometimes finds himself lost in a remote area amongst a labyrinth of unmarked, seemingly identical routes. With memory, pluck, and inquiries to local villagers (the pre-smartphone GPS system) Joseph invariably finds his way and meets the KSR runners in “the middle of nowhere” just in the nick of time! And he has additional talents! Before, during and after the running days of the KSR, Joseph plays a prominent role in its organization. He works closely with his SENE colleagues in the Moshi office to manage the KSR logistics, which are surprisingly complicated. Thanks to his common sense and creative thinking, Joseph always has more than one trick in his pocket and comes up with a solution to any unexpected hiccup that invariably arises. Like the rest of the KSR team during the 8-day event, Joseph does not stop for a second. When not on the road, he is found loading and unloading the vehicle, helping Kiplet and his assistant set up camp, joining in the food preparation and serving, or off for a quick shopping errand to re-supply. At some point Joseph sleeps, but we’re not sure when! With his legendary good humor, immense smile, and ability to adapt to all circumstances, Joseph is an indispensable part of the KSR, and an immediate and long-lasting friend to all the participants. When not on the roads in Tanzania, Joseph can be found at home in Arusha with his wife and children – Allen, Grace, Gregory, and Jessica.